1. Thank You for Purchasing Monimoto! The device can be used with iOS 9.3 or Android 5.0 devices and all subsequent operating systems. between your phone and Monimoto device utilises this technology. This is a linked KEY, which is kept with the owner and works on a proximity basis. It should be kept with the owner (not anywhere inside or on the motorcycle) all the time. Monimoto KEY is not supposed to be used as a key chain and should be kept separate from your motorcycle keys – in your pocket or backpack. This will prevent you from loosing the linked KEY in case your motorcycle keys are stolen. Keep Monimoto KEY away from contact with water as it is not waterproof. Each Monimoto device can connect up to 3 KEYs. P.S. Pay attention to battery sides when inserting it into the KEY. Battery should be inserted PLUS side UP. 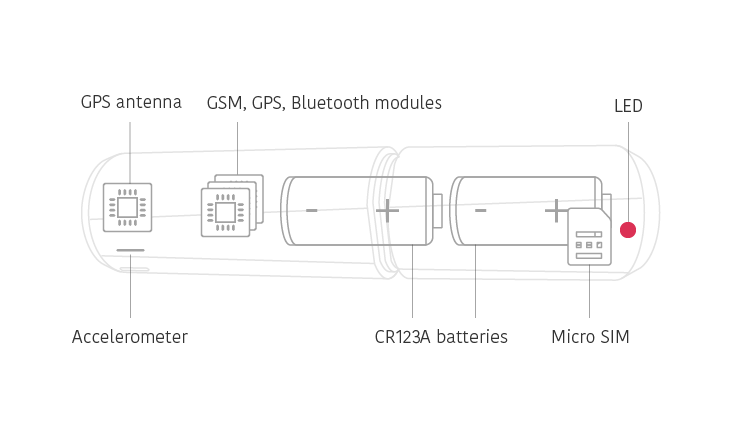 The maximum Bluetooth signal range between your smartphone and Monimoto unit is 100m (~300ft) in open area. You can add up to 3 KEYs to your Monimoto using the app at any time later within 10m (~30ft) range. If you have more than one vehicle you can use the same KEY for all of them. Monimoto is designed to search satellites and deliver the precise GPS location but GPS signal is usually poor inside the buildings or some other specific areas. In such cases Monimoto sends approximate location using CellLocate technology. Each time Monimoto enters Alarm mode battery drains faster so avoid false alarms to save battery time. Monimoto has 2 main modes: Ready Mode and Alarm Mode. IMPORTANT: The app uses internet connection as its primary way to communicate with the device so it’s highly recommended to keep mobile data or Wi-Fi turned ON on your Phone at all times. Please also note that Monimoto is not a ‘real time’ device. It does not have a permanent connection with the GSM network. Only when the Alarm mode is triggered Monimoto will connect to GSM network. This method considerably saves Monimoto energy. notify the owner if the KEY is not around. You do not need to activate Monimoto in any other way. Monimoto also remains in Ready mode if owner has a KEY while riding the motorcycle. KEY is not found, the device will enter Alarm mode. When in alarm mode Monimoto first calls the owner’s number. 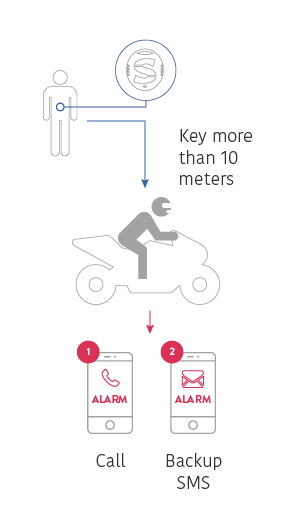 It will call twice and after that it will push notification to Monimoto app when precise location data is received from GPS or approximate location from GSM using CellLocate. your Monimoto-equipped vehicle has stopped moving you will be updated every 30 minutes. 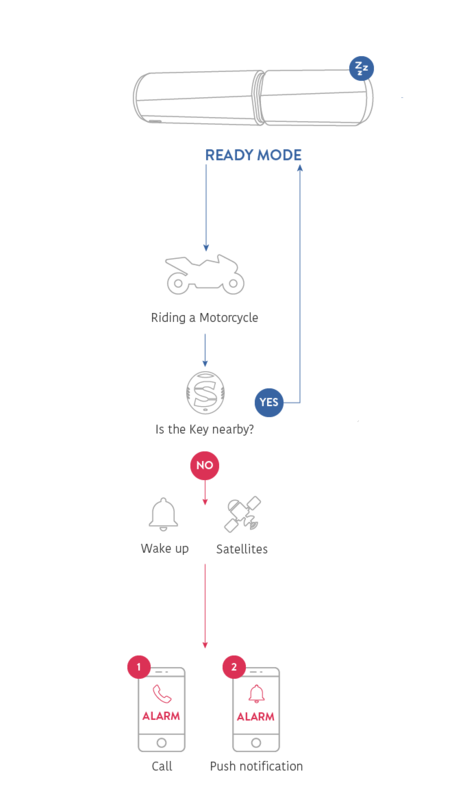 In case of poor signal or network data transmission problems in Alarm mode Monimoto sends SMSwith map link to the owner when the device has stopped moving and stays in steady position for more than 5 minutes. Exit Alarm with KEY. Once the KEY is detected within the 10m (~30ft) range, Monimoto will automatically return to Ready mode. your motorcycle to a friend but.. forgot to give them the KEY. on settings Tab– it goes to Ready mode and the Alarm mode ends. Monimoto regularly performs a battery check and updates status to your phone. If Monimoto encounters network issues or batteries are drained and periodic check cannot be performed you will be notified about that in the app. The frequency of periodic check can be set using Monimoto app. this setting wisely or leave it at the default. Download the Monimoto app and install it on your smartphone. 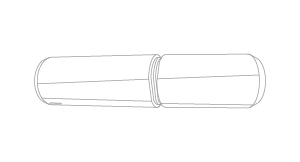 recognize it immediately in case of alarm. After pairing hide and fix Monimoto using two zip ties in your vehicle. setting up and configuring your device hide it in your motorcycle or other vehicle. Leave your KEY at home. Switch off Bluetooth on your phone. Take your Monimoto-equipped vehicle for a test drive. 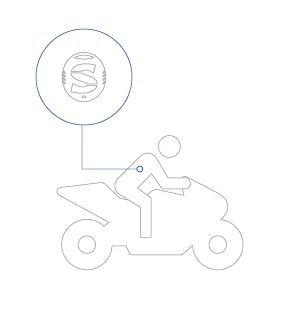 Or simply do something to keep your bike moving it for at least 8 seconds. In approx. 1 minute you will receive a call from Monimoto device and soon after the call pushnotification should arrive to the Monimoto app. Open the app and check whether it is showing the precise GPS or approximate GSM location. If you got the precise GPS location – put the device to sleep using the app to save batteries and go home to take the KEY. Congratulations, your vehicle is now safe! In case you received an approximate location please re-install your Monimoto in a different spot inside your vehicle. Best satellite signal reception is achieved when GPS antenna is pointing upwards, or to the side. Never install Monimoto with the GPS antenna pointing to the ground! Repeat the test drive until you get the precise GPS location. 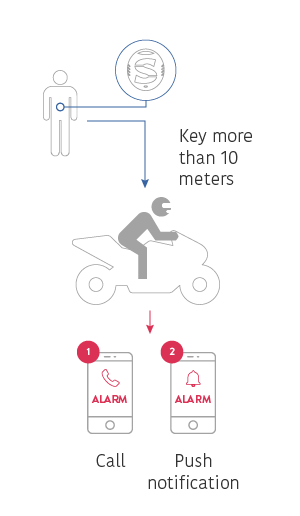 IMPORTANT: Before testing Monimoto ensure the KEY is more than 100m (~330ft) away from the device. Also make sure that the mobile app is closed. 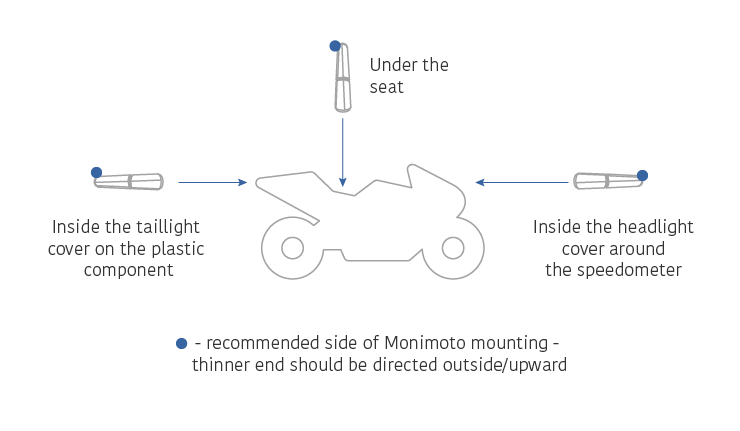 Remove Monimoto from your vehicle by releasing zip ties. Remove the old CR123A batteries from the battery pocket. Wait for 2 minutes. Otherwise you will not get fresh battery info on spot. Position the new batteries and insert them into the battery pocket based on the positive/negative terminals as indicated on the main board of Monimoto. Place it back into the installation location of your vehicle. Test Monimoto by following the instructions provided in Testing Monimoto. Open the KEY lid using 2 euro cent coin. Remove the old battery from the battery pocket. Position the new CR2032 battery and insert it into the battery pocket facing positive (+) terminal up. Close the lid following small pointers with the same 2 euro cent coin. Insert flat screwdriver into special hole and lift. Two black plastic pieces should be separated. Position the new CR2032 battery and insert it into the battery pocket facing positive (+) terminal up. Ensure the batteries are inserted into your Monimoto. Connect Monimoto to your computer or phone charger using the micro USB cable. Wait while the red LED flashes repeatedly for at least ~13 times (1 flash per sec.). Unplug the micro USB cable and you should see one long LED flash. Parameters have been successfully restored to default values. *The operation time might vary in different conditions. install, display or use the Application. DO NOT use the system where it can cause potential danger and interfere with other devices – such as medical devices. DO NOT use the system in hazardous environment. DO NOT expose the system to high humidity, chemical environment or mechanical impact. DO NOT attempt to repair the system yourself – any repairs must be carried out by fully qualified personnel only. DO NOT try to disassemble Monimoto. NEVER install or carry out maintenance during stormy weather. To switch the system off, remove one of the batteries. Keep new or used CR2032 batteries (ones that are used in Monimoto KEY) out of reach of children. If a battery is swallowed, it can lead to serious burns resulting in internal bleeding or death. depending on your plan and 2G/3G service provider! product. In order to request warranty service, the purchaser is required to provide proof of purchase. hazardous environments or force majeure factors. original product, or (c) refund the purchase price of the product. of the Internet providers, therefore, it shall not responsible for the quality of Internet service. the laws in force, shall not exceed the price of acquisition of the product. rights that vary by country, state or province. facility. 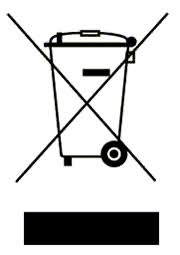 For further information contact your system supplier, or your local waste authority. 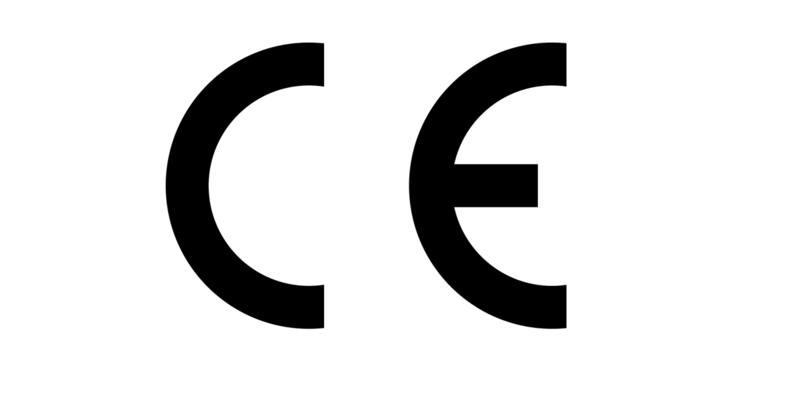 thereof to a third party without an a priori written authorization obtained from “Monimoto UAB”. 2014/53/EU . The declaration of conformity is available at monimoto.com. User Guide v3.00 Copyright © “Monimoto UAB”, 2018. All rights reserved.